The Pentair IntelliFlo® Variable Speed Pump is one of the absolute best pumps in the industry. It’s quiet, efficient, and backed by a 3-year warranty on all parts and labor. 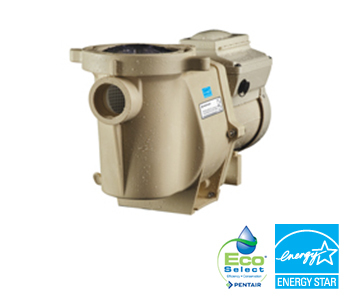 This Energy Star approved pump saves up to 90% more energy compared to other leading pool pumps. Featuring a built-in timer with digital display and eight different programs, this high performance pump includes 8 different speed settings compatible with various automation settings so you can control the pump speeds, set schedules, and control water temperatures at the ease of pressing a button. Take advantage of the Pentair IntelliFlo® Variable Speed Pump along with all of the following automation systems: Pentair SolarTouch® Solar Control System, Pentair SunTouch® Control System and Pentair EasyTouch® Control Systems. Your satisfaction is always our number one priority, and you can rest assured that all new installations are backed by our 1-year warranty. Call today to learn more about solarwater heaters. 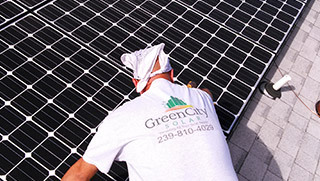 Are you in need of a solar installation or repair at an inconvenient time? Not to worry! The team at Green City Solar, LLC. is available to assist with necessary repairs or installations at any time, day or night.